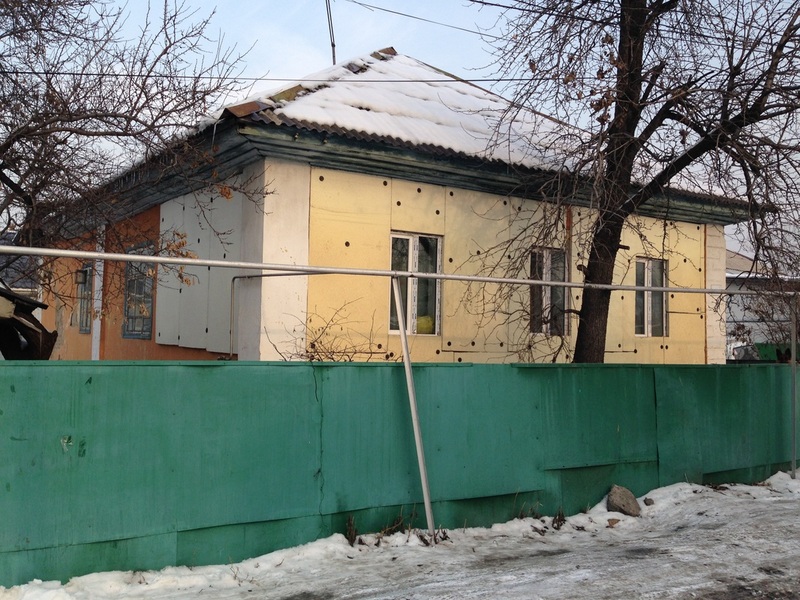 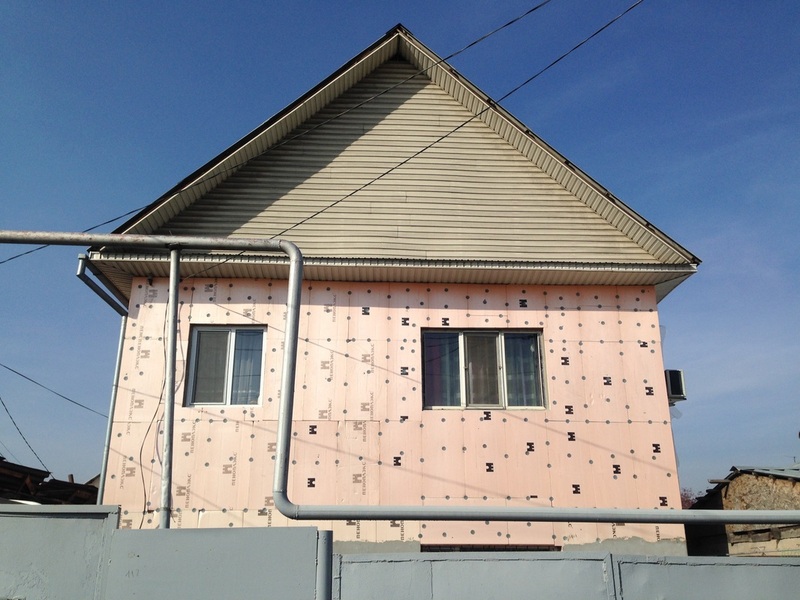 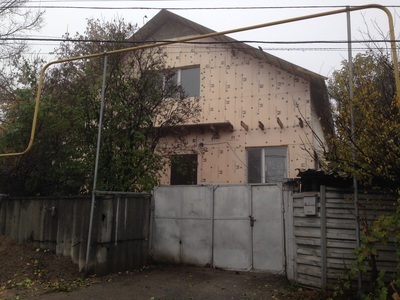 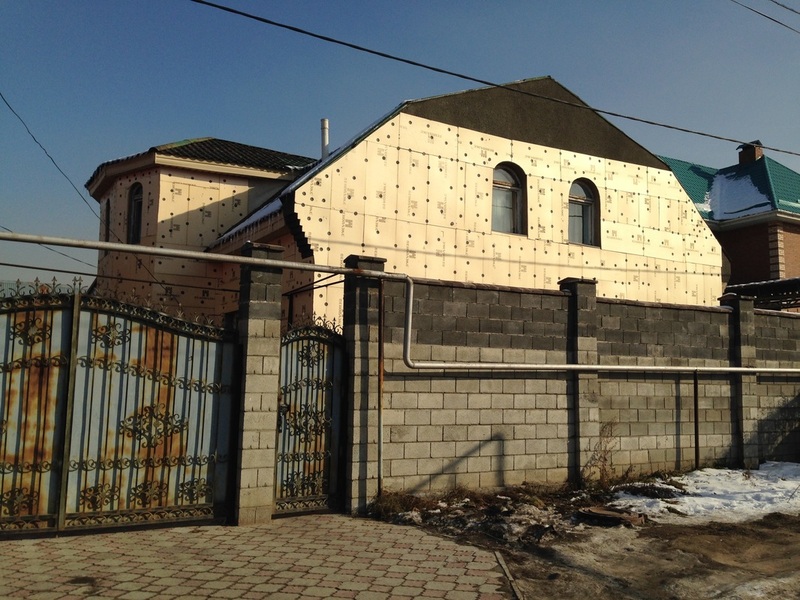 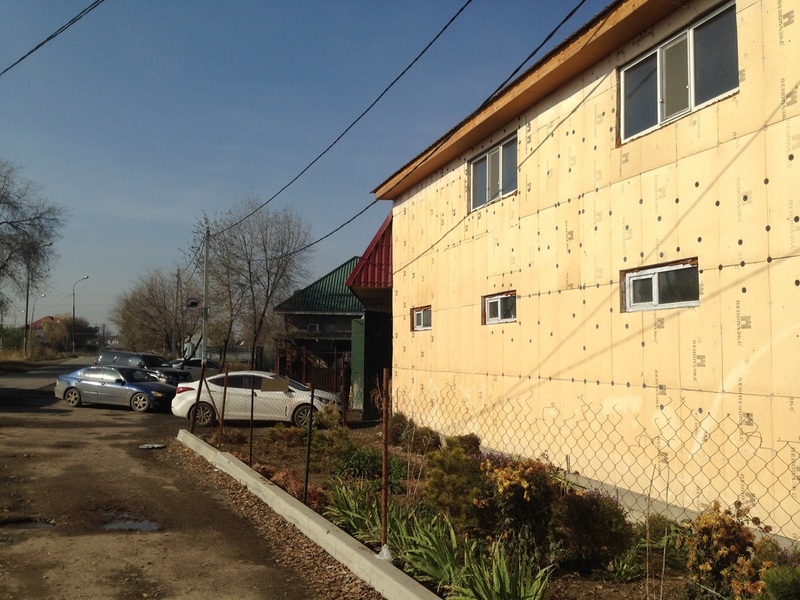 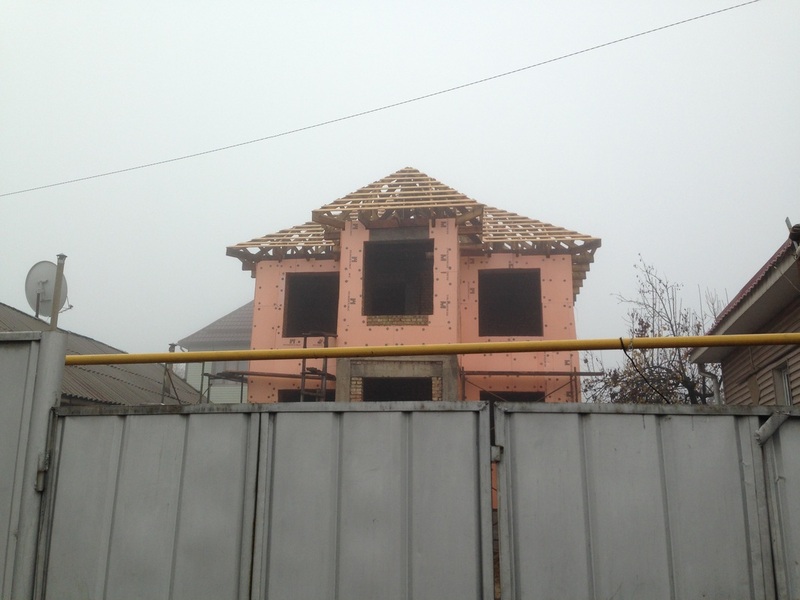 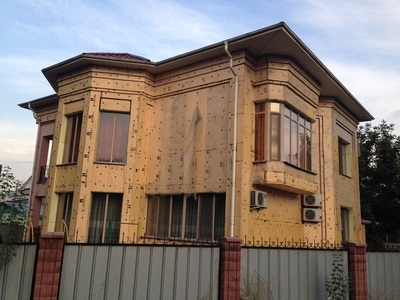 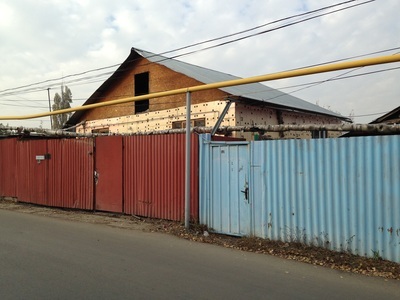 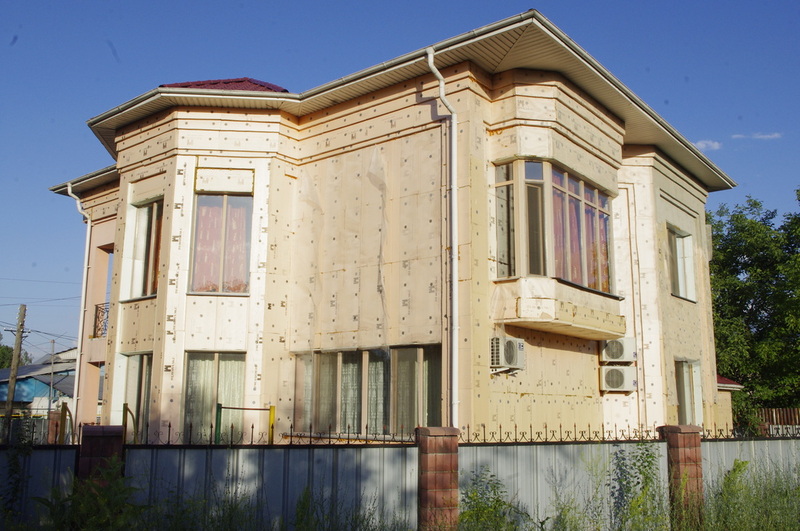 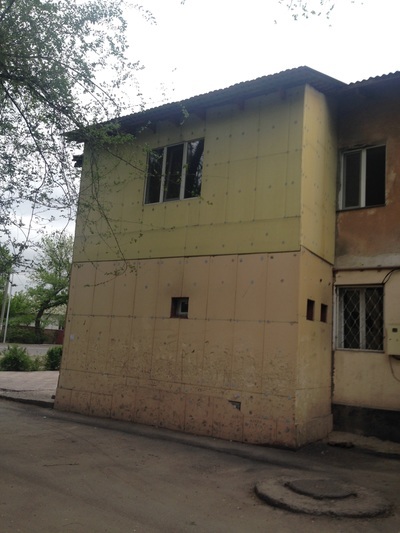 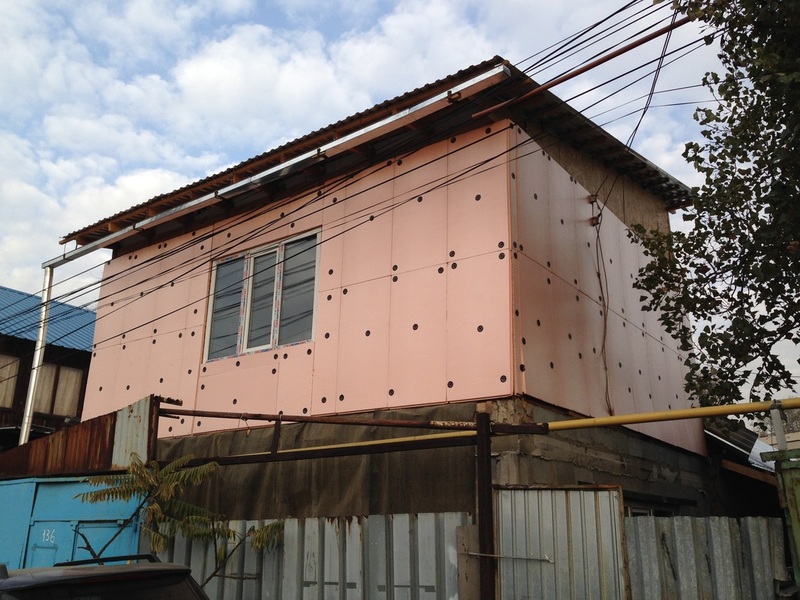 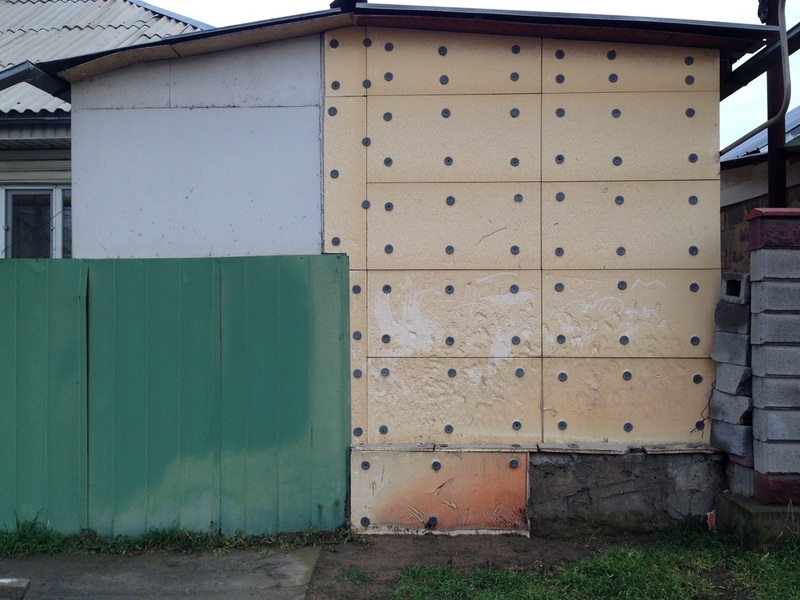 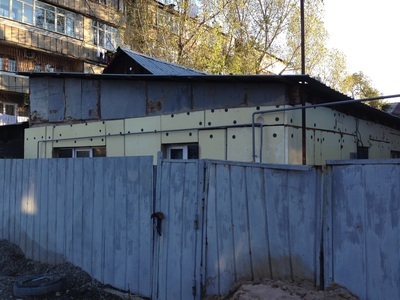 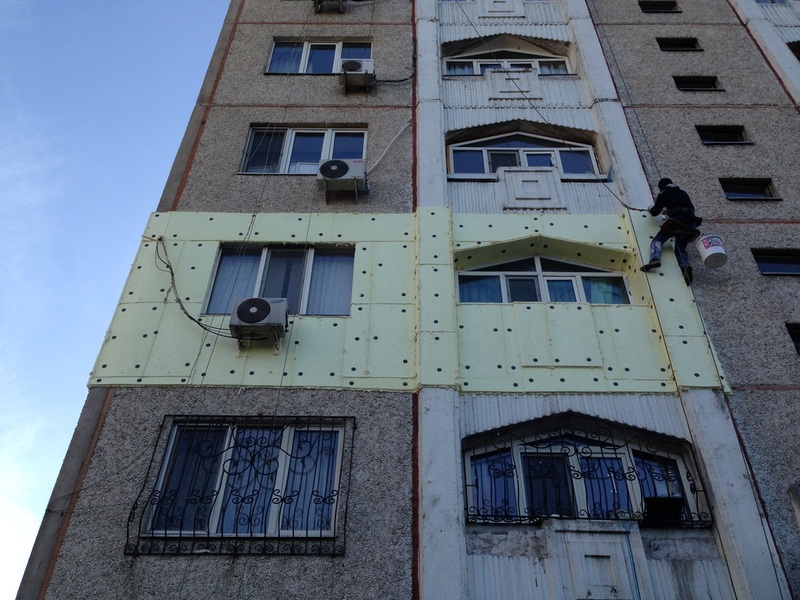 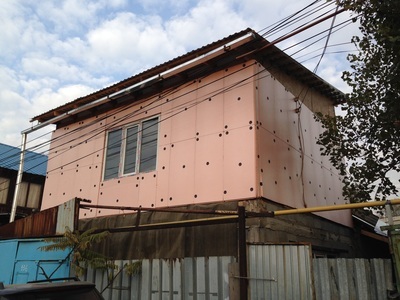 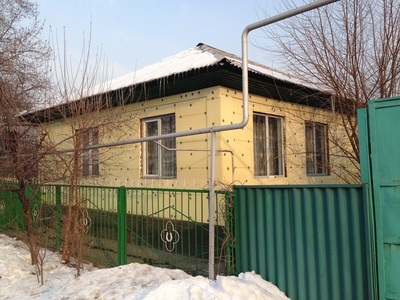 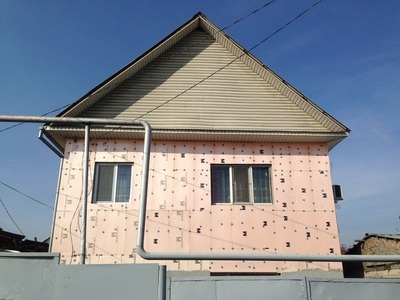 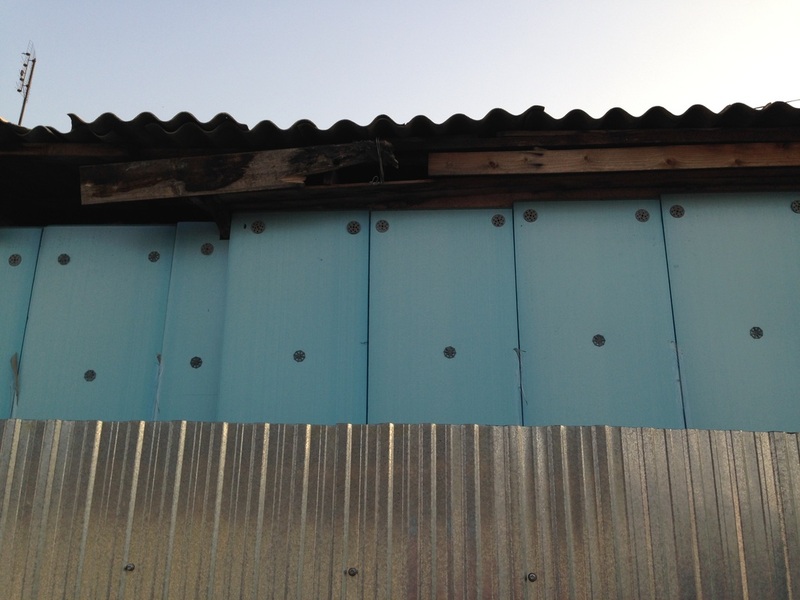 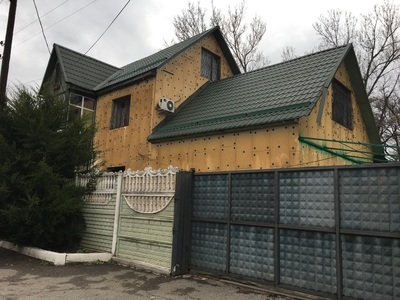 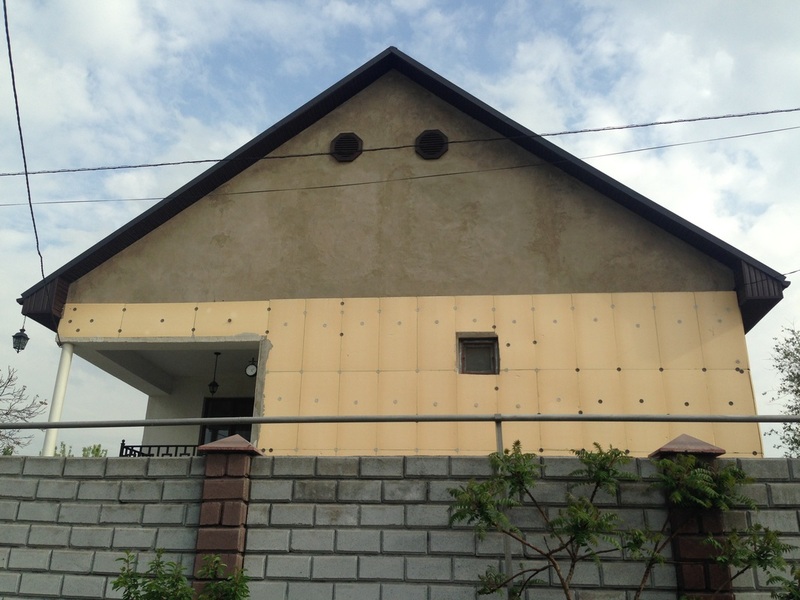 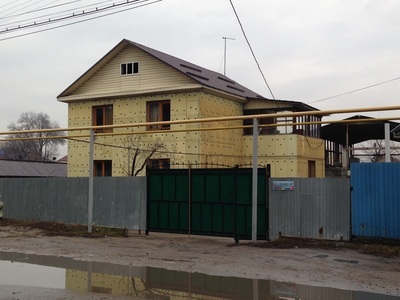 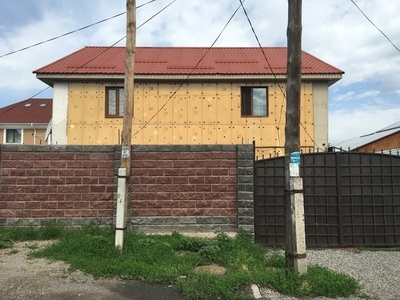 The polka-dot house is an Almaty mainstay, but this is not some eccentric design decision. 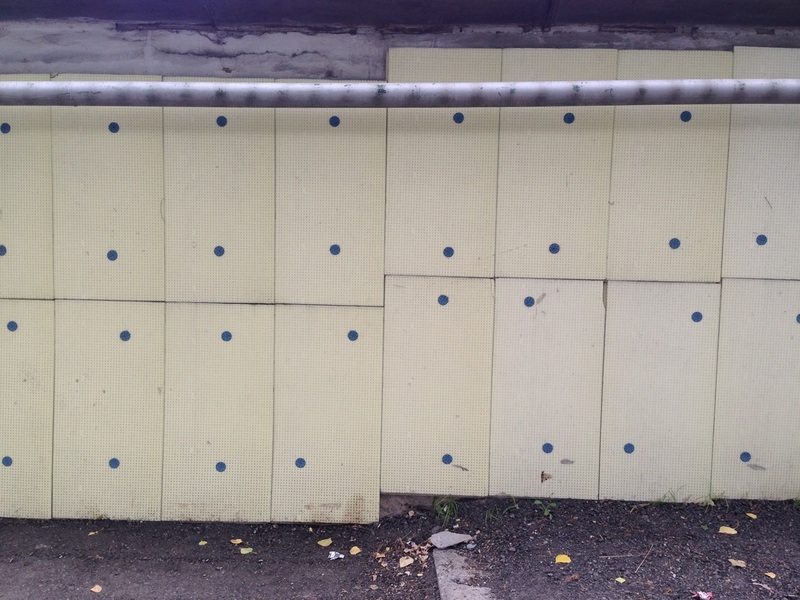 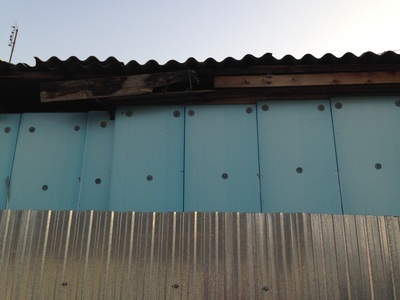 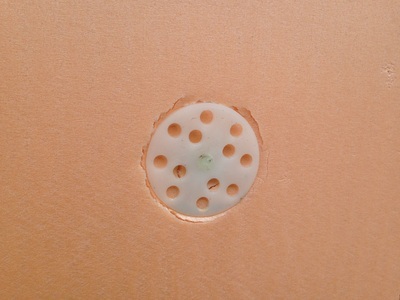 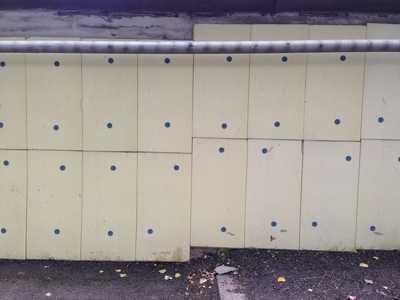 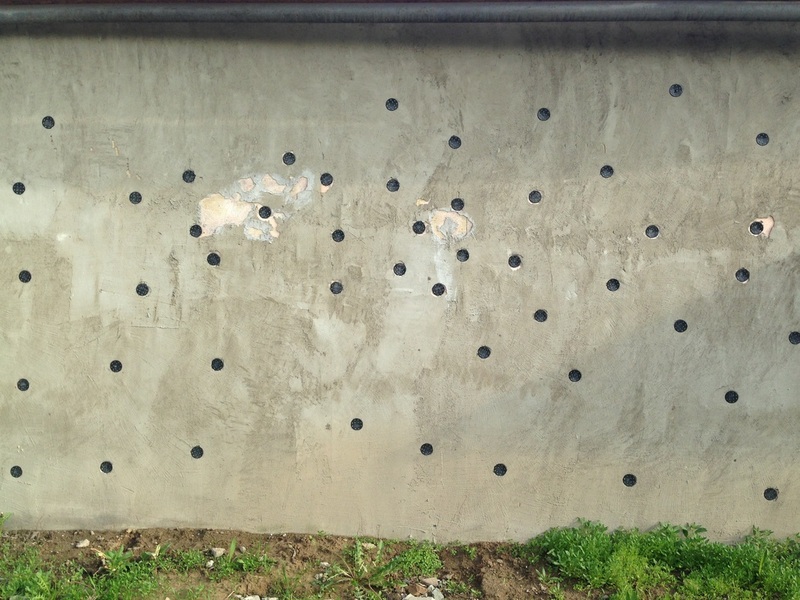 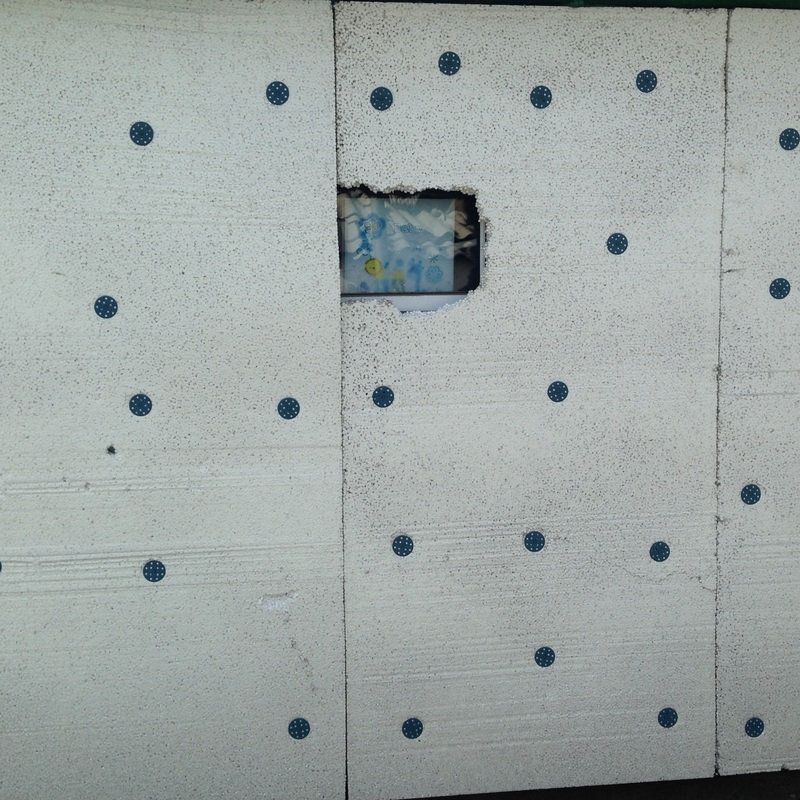 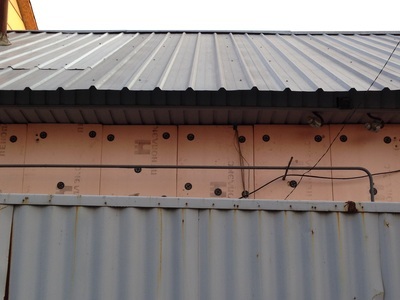 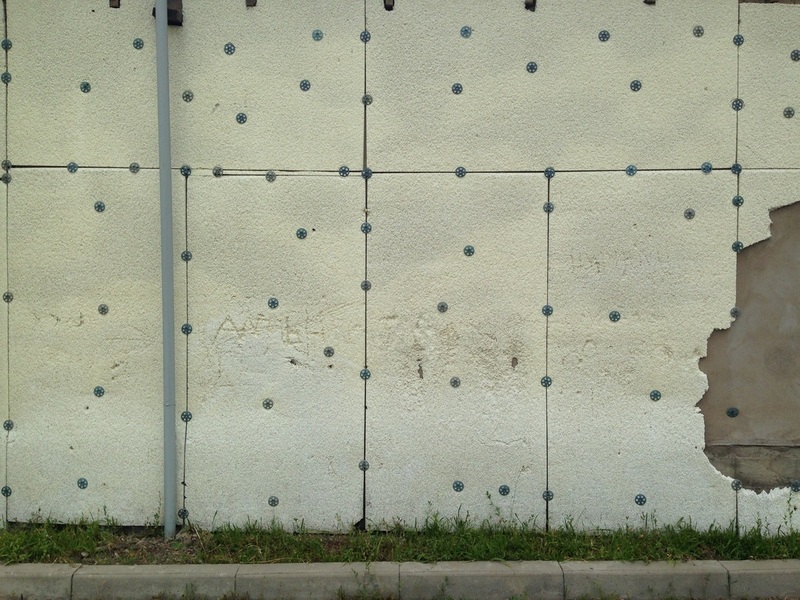 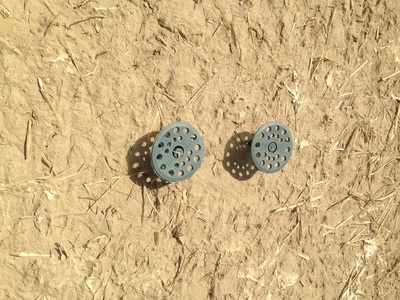 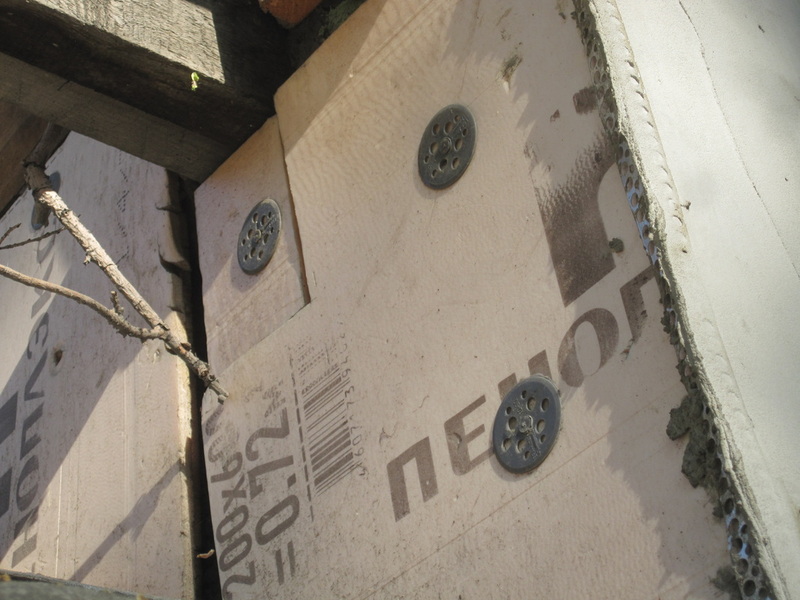 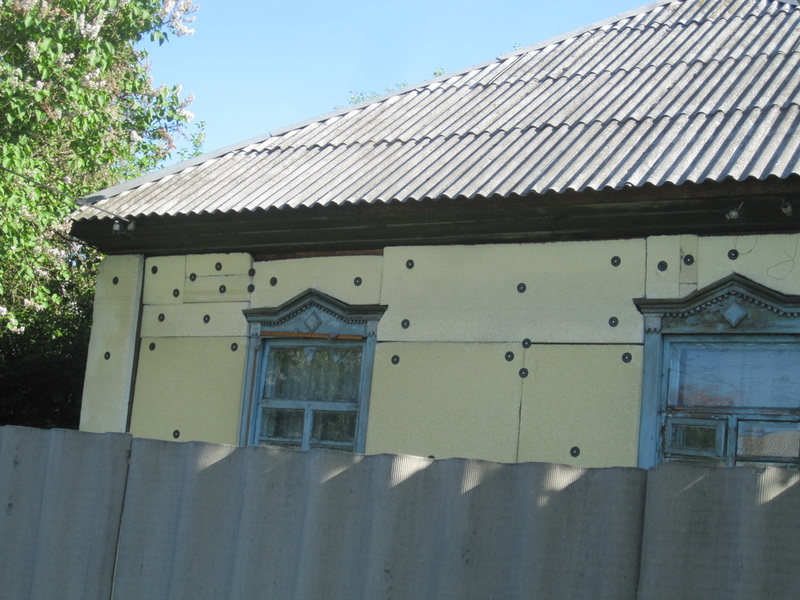 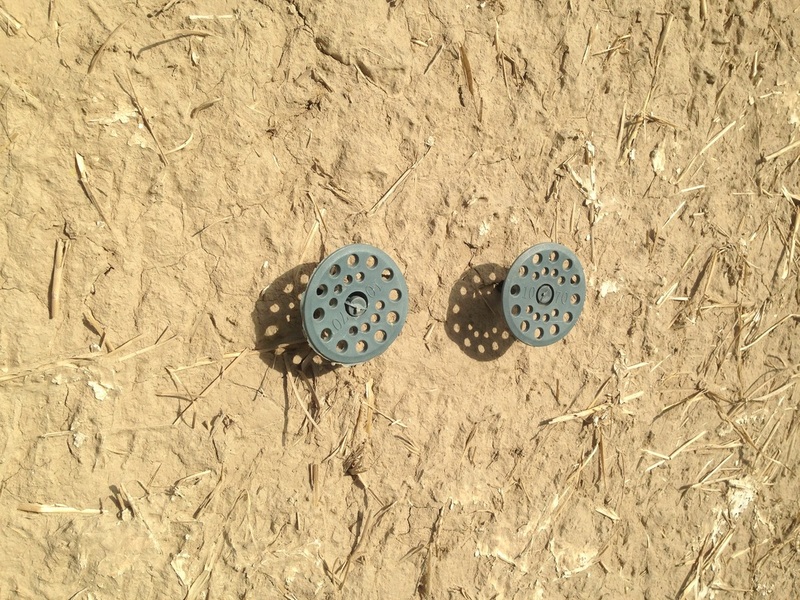 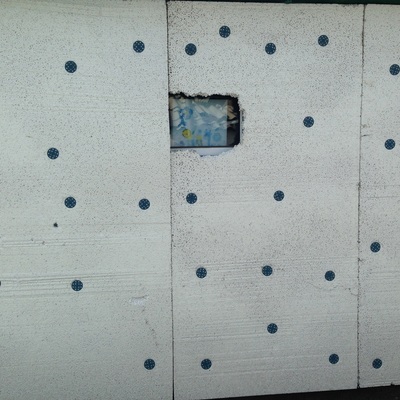 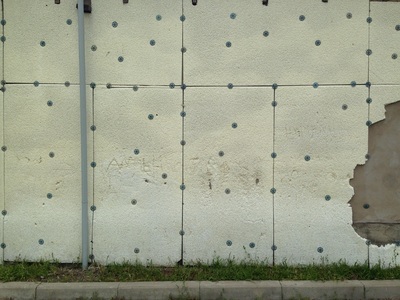 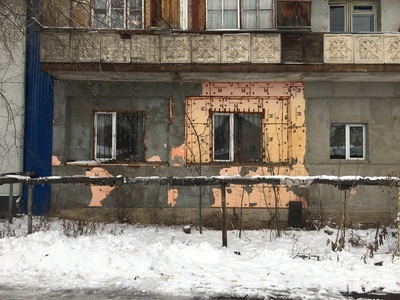 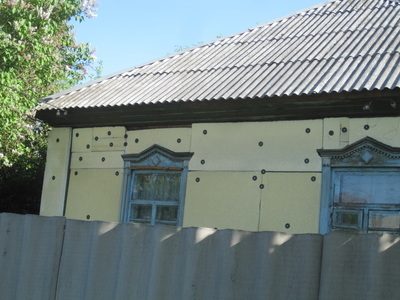 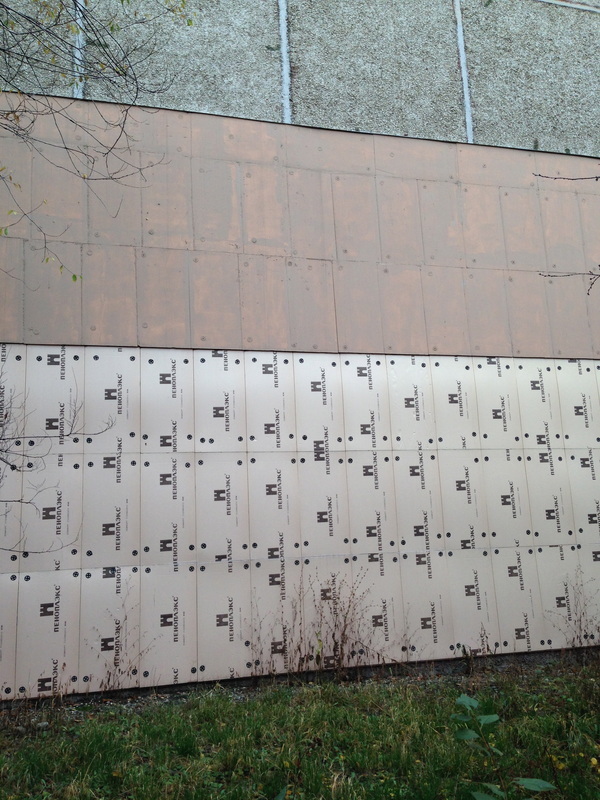 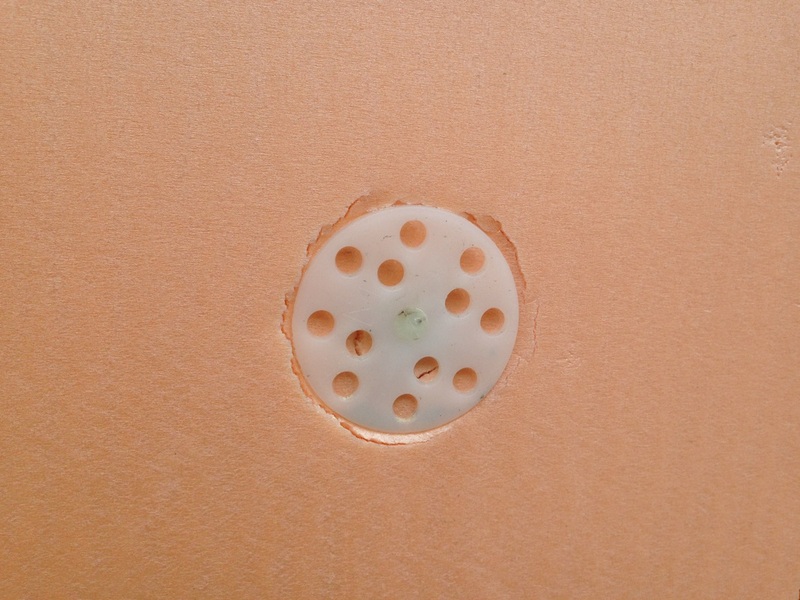 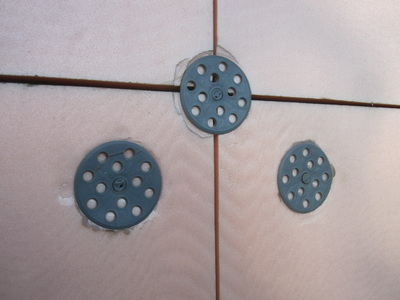 The dots are plastic dowels nicknamed gribky [грибки], or little toadstools, used to pierce insulation and hold it to the frame of a house. 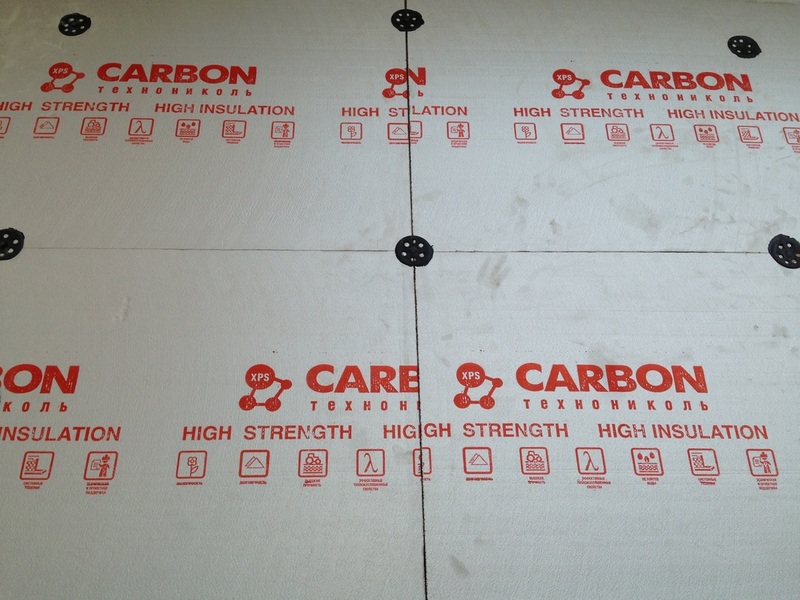 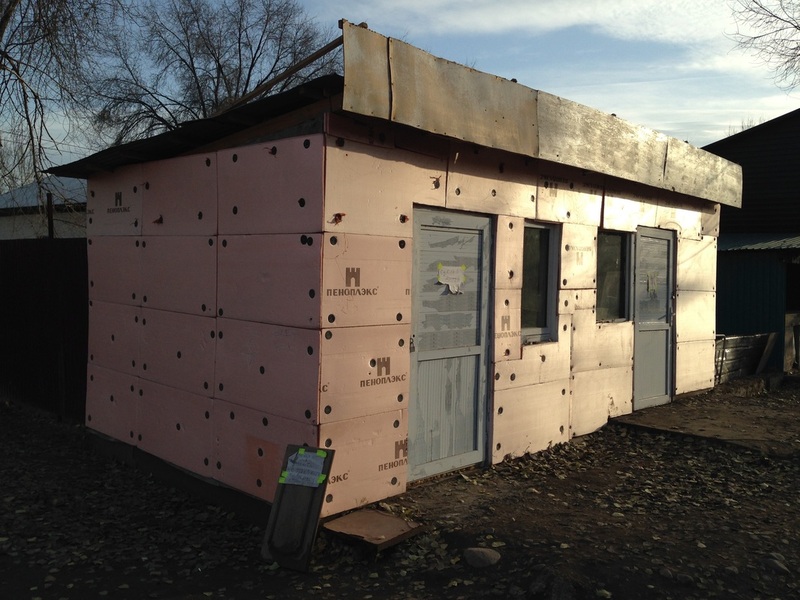 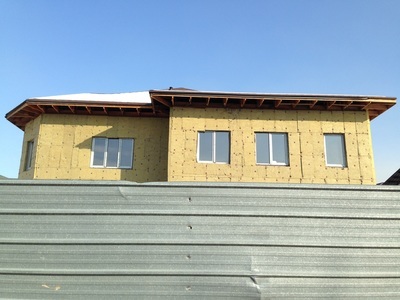 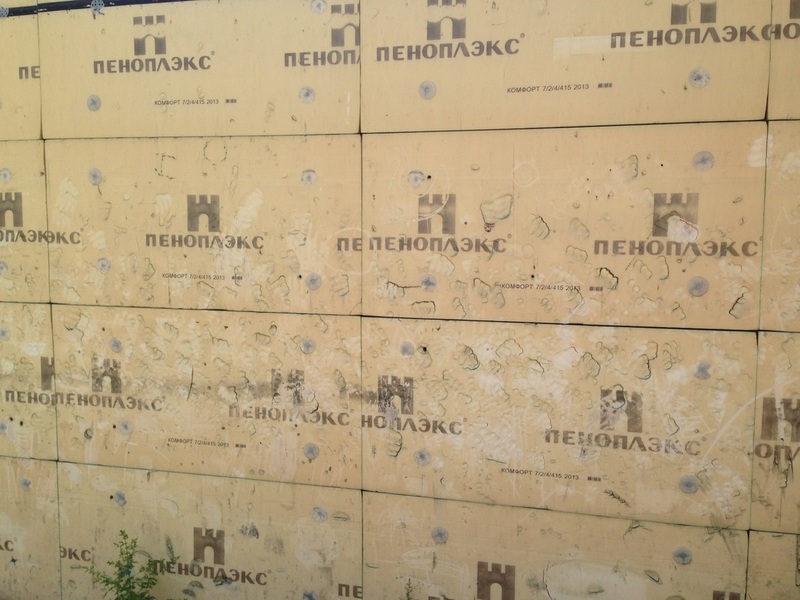 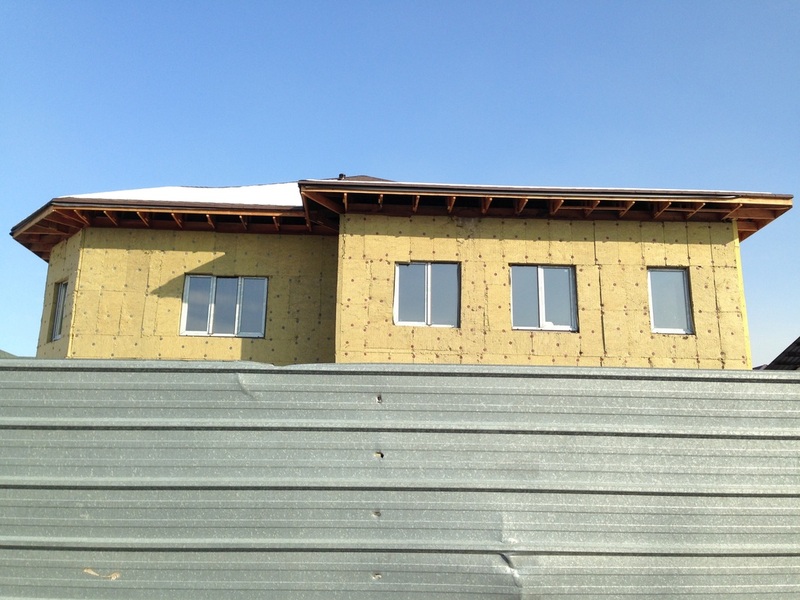 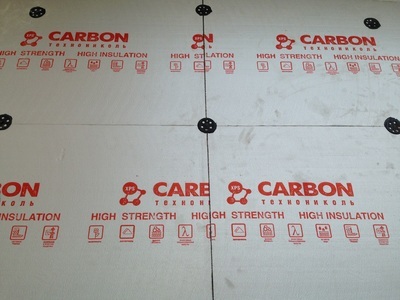 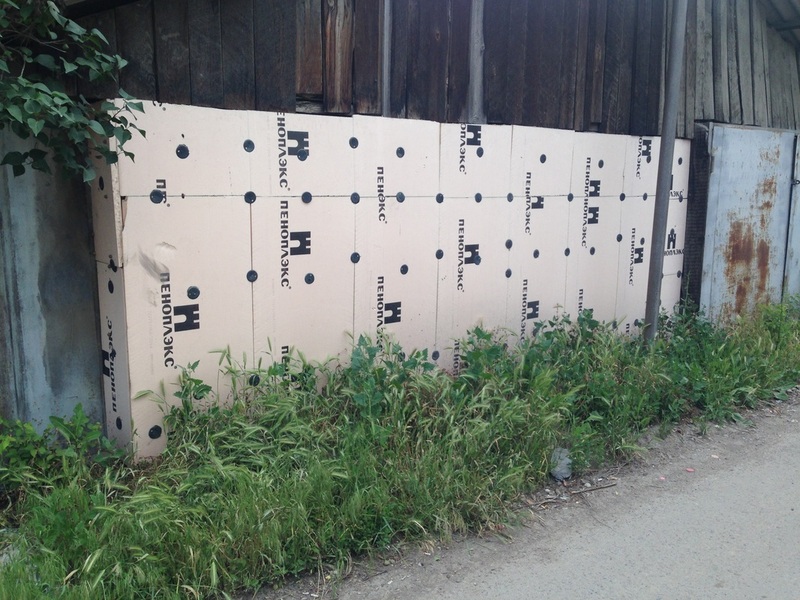 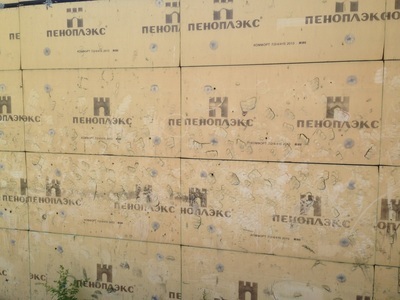 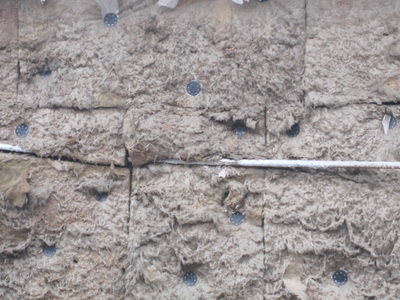 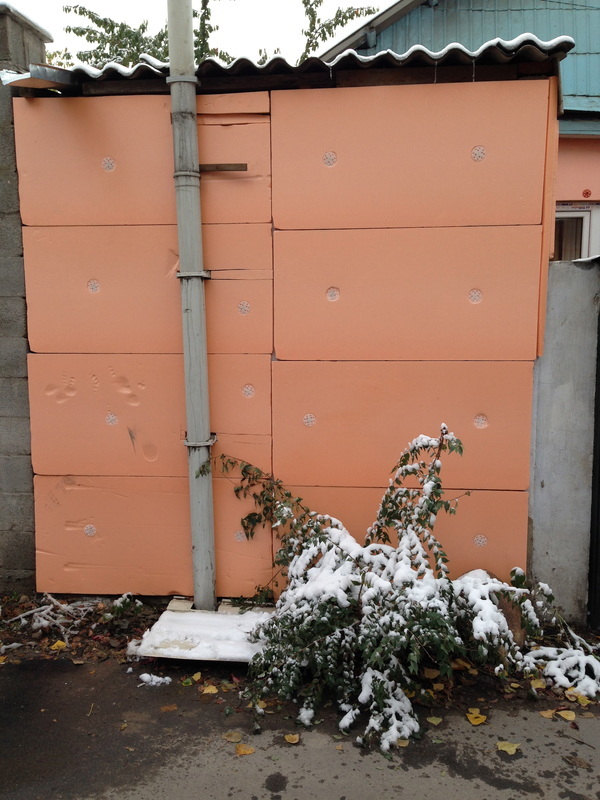 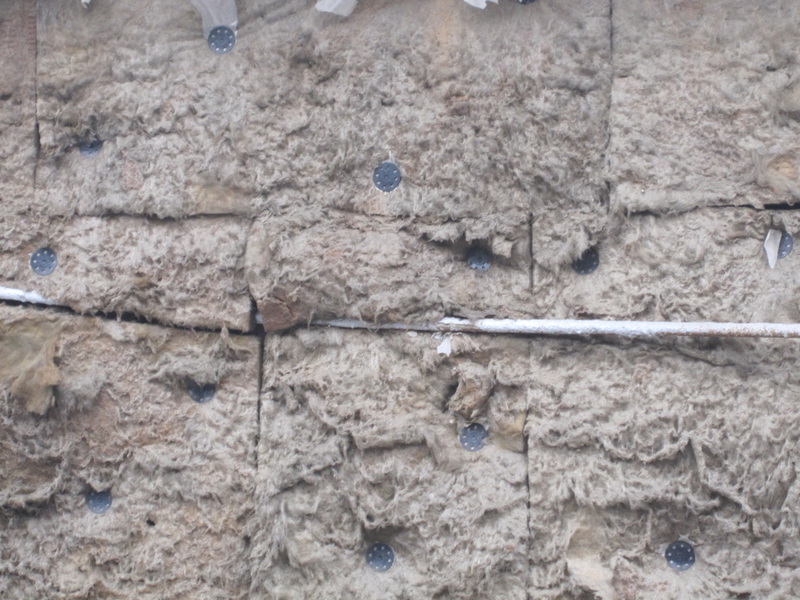 The insulation is mostly extruded polystyrene or Penopleks [Пеноплекс], a kind of cheap material not too far from the styrofoam we use in our coffee cups and packing materials (Styrofoam, by the way, is another marvel of materials science that has been trademarked as a brand name.) 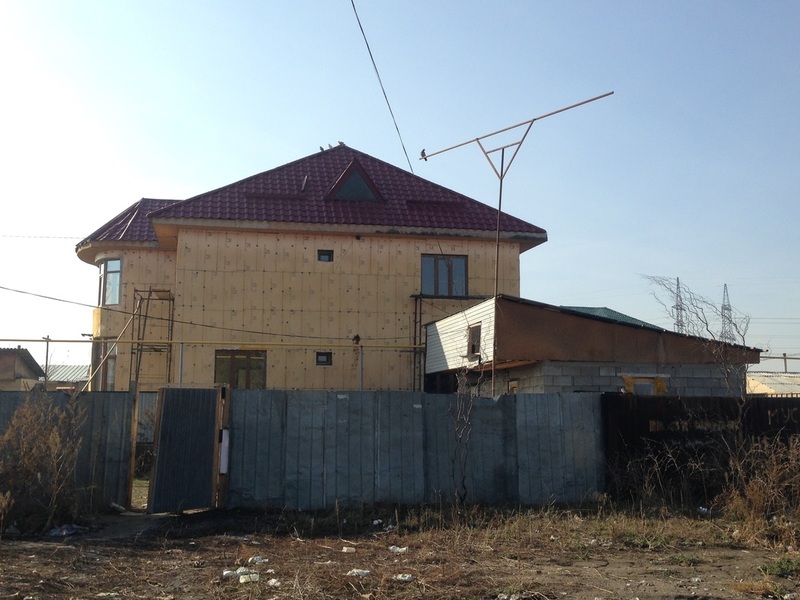 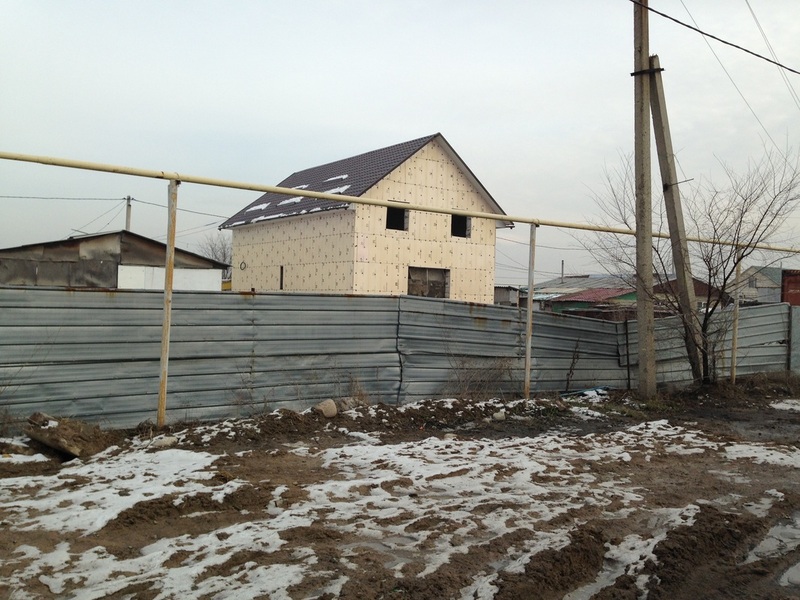 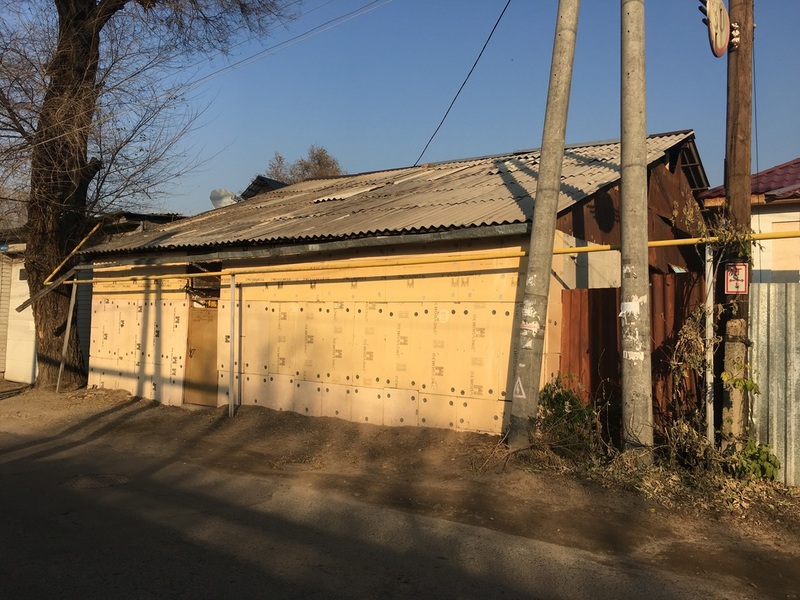 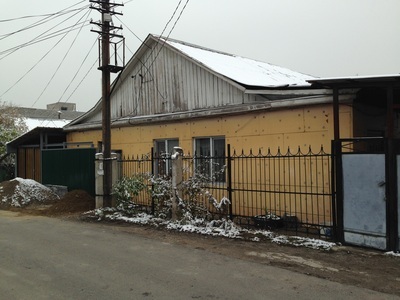 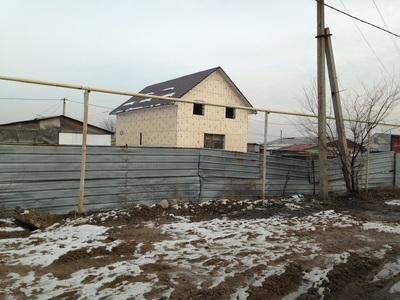 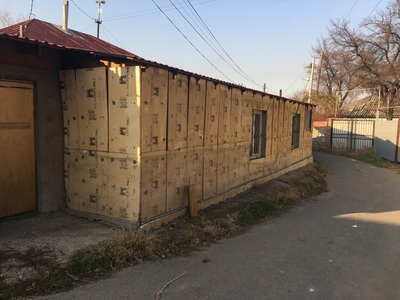 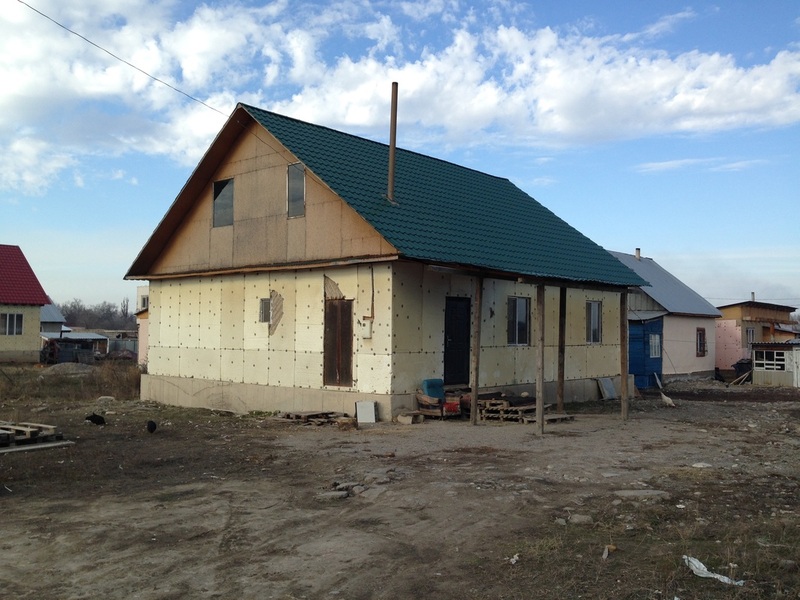 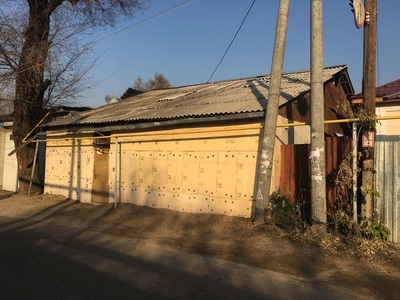 Now as for the prevalence of such buildings, exposed and unfinished, I can only suspect that Kazakhstan's underdeveloped economy makes remodeling not as quick and easy as it can be in the West. 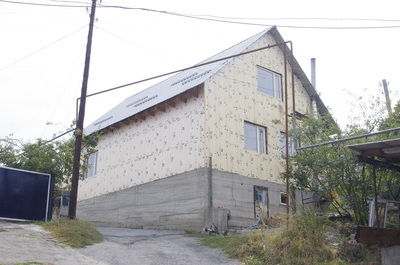 Friends have told me that a lot of construction and remodeling projects were stalled during the financial freeze of the Great Recession, and spare money has since then remained stagnant for many homeowners. 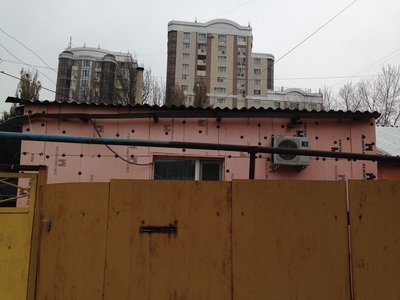 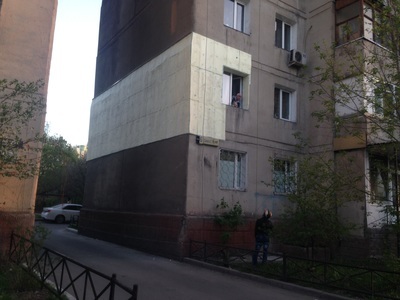 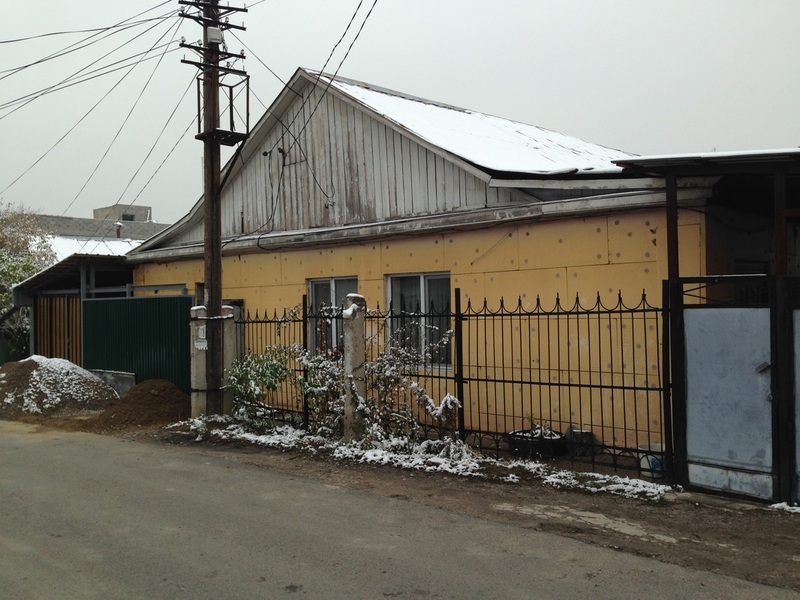 For now, then, Almaty is a city of speckled walls, full of dream homes awaiting resolution.